When it comes to world-famous eats, London’s European neighbors — Paris, Barcelona, Rome — tend to steal the limelight. What British cuisine may lack in acclaim, however, this capital city makes up for with one of the most diverse, multicultural food scenes on the planet. Not to mention you’ll find 70+ Michelin star restaurants in London, more than in most of those European neighbors. From pan-Asian bao and Peruvian ceviche to Mexican-inspired British classics, here are the dishes that are earning the city a top spot on the list of world’s best foodie destinations. London may be thousands of miles from South America, but there’s top-class ceviche here. Super fresh, healthy, and bursting with flavor, this zesty raw-fish dish is fast becoming a favorite in the local food scene. For some of the best in town, hunt down Peruvian restaurant Señor Ceviche for a taste of Nikkei, a beautifully presented plate of yellowfin tuna, sea bass, ponzu tiger’s milk, yuzu tobiko, and a langoustine cracker. The bacon buttie — crispy rashers of thick English bacon wedged between two slices of buttered white bread — is the nation’s favorite breakfast. 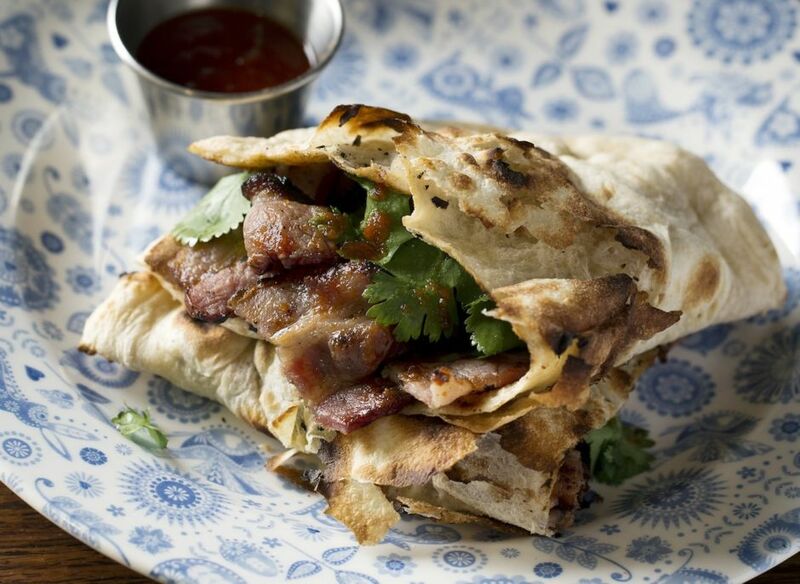 So when Dishoom, one of London’s best Anglo-Indian restaurants, opened its doors in Shoreditch, it was no surprise that this bacon roll became the star headliner. Paying homage to the dish’s Bombay roots, the usual tomato ketchup and brown sauce are replaced here by a fiery chili-tomato jam, creamy raita-style yogurt, and a sprinkling of coriander. Pair with a chai tea and you’ve got yourself one of the top Brit-Indian breakfasts in town — heck, probably the world. The British love a doughnut: jam doughnut, custard doughnut, ring doughnut, glazed doughnut, you name it — if it’s round, doughy, and sweet, expect a queue. But what happens when you dare to make a savory doughnut? Award-winning London chef Tom Cenci from the acclaimed Duck & Waffle did just that. Combining pub classics with European ingredients, the spiced duck doughnut served with pineapple jam and paprika sugar — alongside dishes like BBQ-spiced pigs’ ears and smoked eel with horseradish and samphire — is true London fusion food. Asian immigrants have been arriving in London for the past couple of centuries. Today, influences from Japanese, Chinese, and Taiwanese culture (along with many more) are woven into everyday London life. And a big part of this influence manifests itself in — yep, you guessed it — the food. 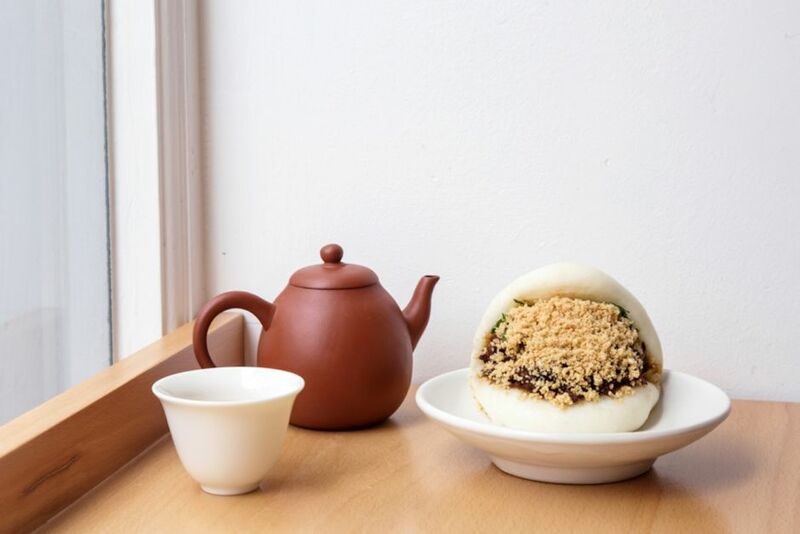 Literally translating to “steamed bun” in Taiwanese, bao are cloud-light buns typically stuffed with meat, vegetables — even ice cream! — and they’re fast becoming London’s favorite lunchtime snack. To sample some of the best, head to Soho’s Bao for their signature pulled-pork bun. The ridiculously succulent meat, sweet plum sauce, crunchy radish, and, of course, the made-on-site milk buns draw crowds as early as 11:30am (30 minutes before opening time). Introducing London’s most notorious late-night snack. Four inches thick and smothered in strong English mustard, the salt beef sandwich — originating in the Jewish community — is capable of knocking anyone out of the after-hours haze. While you used to be able to find one on every West and East End street corner, today there are only a handful of sandwich shops left that still use the traditional Jewish recipe. One of those is Brick Lane’s Beigel Bake, which serves their legendary salt beef 24 hours a day, 7 days a week. It’s something of an icon in the city — they’ve been around since 1979. Their winning formula is this: four-hour-boiled brisket beef, warm, fluffy bagels made onsite, tear-inducing mustard, and crunchy green pickles. While the iconic fish & chips is most associated with seaside towns like Brighton and Whitby, London has its fair share of traditional chippies, where jellied eels, mushy peas, and good old beer-battered cod is still served in an envelope of last week’s newspaper. In recent years, however, London restaurants have taken the signature dish and given it a “new school,” upmarket twist. 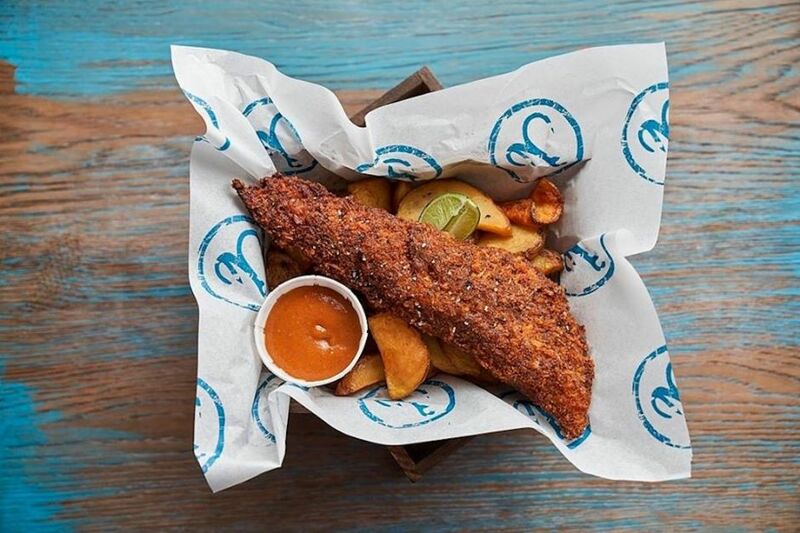 One of the places leading the posh chippy revolution is Hook Camden. Thanks to their incredible Tom Yum and Spiced Mango Ketchup, seaweed salted chips, and tempura batter, they’ve have managed to pull off an Asian/Caribbean/Mediterranean fish & chips fusion. Genius. We all (humans, not just Londoners) should thank our lucky stars that Mexico gave the world the burrito. It’s difficult to improve on perfection, but can you believe that London has managed to pull off Brit-Mexican fusion? Yep. Thanks to Yorkshire Burrito, Londoners are walking around the city with their Sunday roast dinners with all the trimmings (sage and onion stuffing, red wine gravy, rosemary roast potatoes, and your choice of applesauce, horseradish, or cauliflower cheese) wrapped up in a giant Yorkshire pudding burrito. It’s just about the best thing ever. It’s lunchtime in 1847 London, and the frantic streets of the East End are filling up fast with the call: “Come get your eel pies! Eel pies and liquor for just three shillings!” And while the so-called “piemen” may no longer walk the streets (or pull pie fillings straight from the Thames), London is still devoted to getting its regular potato, pastry, and gravy fix. 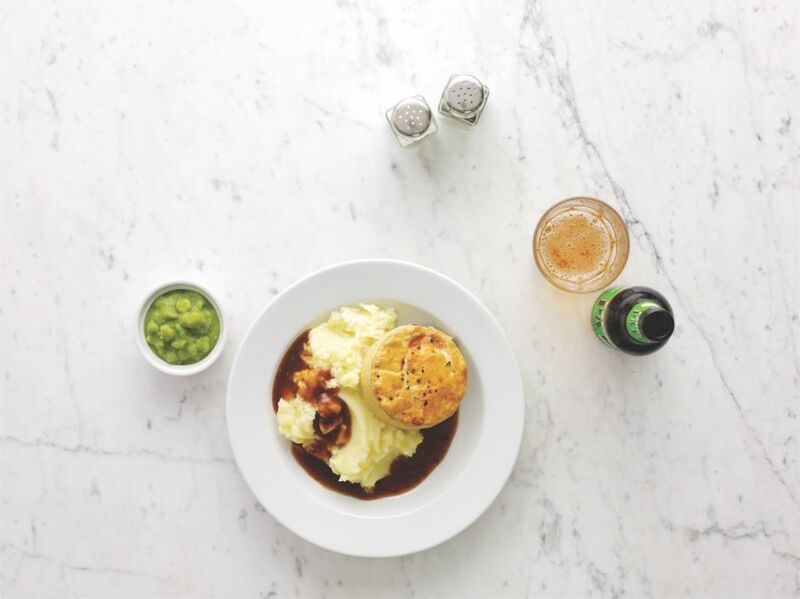 If you want a taste of the city’s most historical dish, head for Mother Mash, where a huge selection of made-to-order mashed potato (think wholegrain mustard, spring onions, or cheddar cheese) and tender meat pies with ladlefuls of liquor (parsley sauce) are guaranteed to hit the spot every time. London has a vibrant Caribbean community, and there’s no better way to introduce yourself to it than through Brixton’s Jamaican food scene. For some of the city’s best jerk chicken (and there’s a lot of it! ), hunt down the guys at Fish, Wings & Tings. Their secret? Grandma’s recipe: tender, juicy chicken smothered in a sweet ‘n’ sticky tamarind BBQ sauce, served with mango and pineapple chutney, spicy rice and beans, and a chunky slaw. Everyone loves a burger, right? But in London, we’re not talking your average meat-cheese-bun kinda deal. In true British cuisine style, the most memorable burger creations come from an unexpected fusion of flavors. 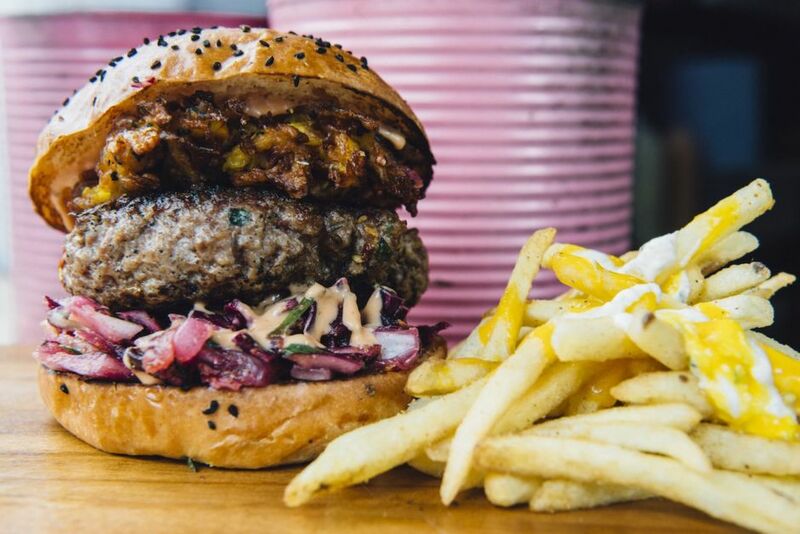 Baba G’s, a street food stand in the awesome KERB Camden Market, serves up some of the tastiest (and largest) Indian burgers you’ve ever laid eyes on. If you know what’s good, you’ll go for the Crazy Lamb Jalfrezi Burger, a spiced lamb jalfrezi patty in a fennel and onion seed bun served with a tomato and coriander salsa, cucumber raita, and a fiery chili pickle. Oh, and you might as well grab some of those masala fries with mint cumin yogurt and mango pulp while you’re at it. You’re welcome. 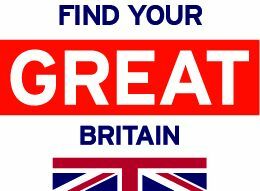 This post is proudly produced in partnership with VisitBritain.